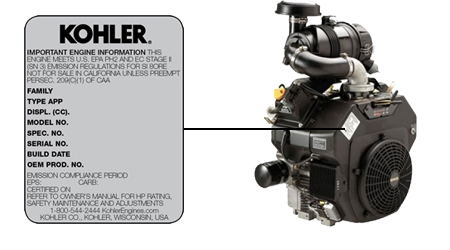 If you need to find your Kohler Engine model and serial numbers we can help! 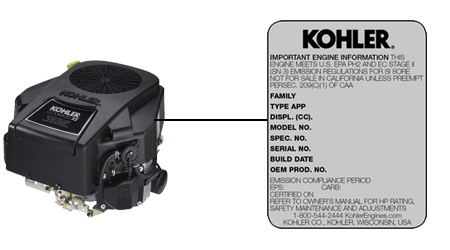 Kohler engines have identification numbers that include a model, serial, and a specification number. The model number, serial number, and specification code on a vertical engine are located on a silver decal attached to the blower housing on the side of the engine cover. Look up your Kohler engine parts. The model number, serial number, and specification code on a horizontal engine are located on a silver decal attached to the side of the engine cover.